I thought I would take a minute to let you know what I'm currently working on, and what to expect over the next few months. 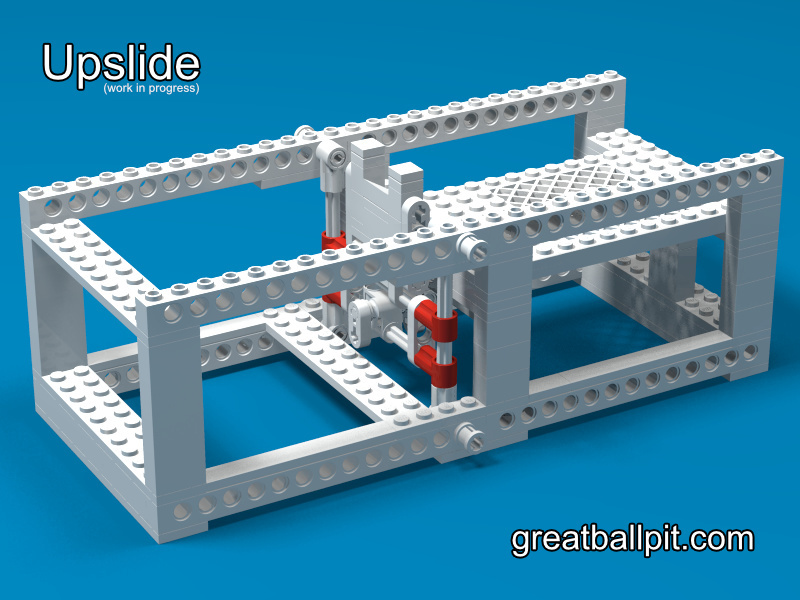 I've started working on instructions for my Upslide module, they will be provided free of charge to readers of the Great Ball Pit. Here's a quick render of my progress so far in Stud.io You can see I'm about 40% complete on the digital build (colours have not been applied yet). I've bought my tickets and booked my hotel! This October I will be attending my first cross border Lego convention in Seattle, Washington. I plan on bringing a dozen GBC modules down including several new builds. After finishing my GreyLime Rebuild, the next target is Tri-Sep. The current module is actually 2 modules run on two motors. I'd like to reduce the size of the loader slightly, and run everything off 1 motor. I'm hoping to upload a few more tutorial videos over the next few months to help boost channel engagement. Please send me a message or leave a comment on what types of GBC tutorials you'd like to see next. 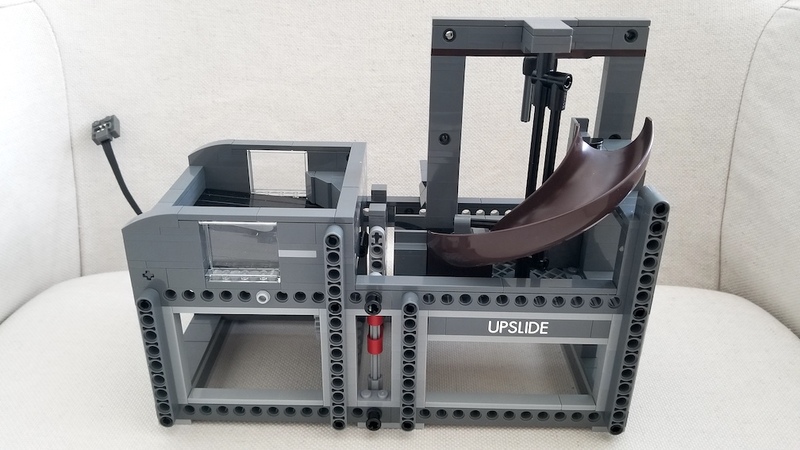 I will be building a special commemorative module to celebrate 1000 subs. I think I will be sunsetting my Twitter account and focusing mostly on Instagram for quick pics and videos. Twitter is a platform for people to converse, and with GBC I feel like images and movies speak louder so Instagram is the better place to focus my attention. Very cool, thanks for the update! Lego Technic "Control+" reveal, and PF L Motor revelation? LEGO® is a trademark of the LEGO Group of companies. 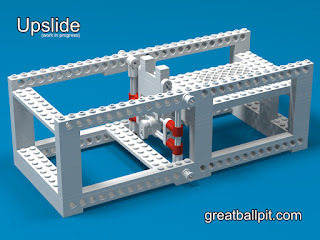 This website is not sponsored, authorized, or endorsed by the Lego Group.